Before purchasing this upgrade, please check your eligibility. Enter your email address below. This should be the email address used to purchase the product from which you are upgrading. You must first specify an email address. An unexpected error occurred while checking your eligibility. Please try again later. If you are having trouble verifying your eligibility but feel certain you are eligible, you may skip this step. If you do skip this step, please provide as much information as you can about your original purchase when submitting your PayPal payment. We will not be able to fulfill your order until we have verified your previous purchase. Great! That email address is eligible for this upgrade. NOTICE TO USERS: CAREFULLY READ THE FOLLOWING LEGAL AGREEMENT. USE OF THE SOFTWARE PROVIDED WITH THIS AGREEMENT (THE "SOFTWARE") CONSTITUTES YOUR ACCEPTANCE OF THESE TERMS. IF YOU DO NOT AGREE TO THE TERMS OF THIS AGREEMENT, DO NOT INSTALL AND/OR USE THIS SOFTWARE. USE OF THIS SOFTWARE IS CONDITIONED UPON COMPLIANCE BY USER WITH THE TERMS OF THIS AGREEMENT. 1. LICENSE GRANT. Heart is Found, Inc DBA Moirai Software (the "MOIRAI") grants you a license to use this SOFTWARE, upon receipt of payment, on any hardware product during any period of time. "You" means the company, entity or individual. "Use" means storing, loading, installing, executing or displaying the SOFTWARE. "Use" specifically does NOT mean distributing the SOFTWARE in any way. Permission to distribute the SOFTWARE is not transferable, assignable, saleable, or franchisable. Each entity wishing to distribute the package must independently satisfy the terms of the distribution license. 2. OWNERSHIP. The SOFTWARE is owned and copyrighted by MOIRAI. Your license confers no title or ownership in the SOFTWARE and should not be construed as a sale of any right in the SOFTWARE. 3. COPYRIGHT. The SOFTWARE is protected by United States copyright law and international treaty provisions. You acknowledge that no title to the intellectual property in the SOFTWARE is transferred to you. You further acknowledge that title and full ownership rights to the SOFTWARE will remain the exclusive property of MOIRAI and you will not acquire any rights to the SOFTWARE except as expressly set forth in this license. You agree that any copies of the SOFTWARE will contain the same proprietary notices which appear on and in the SOFTWARE. 4. REVERSE ENGINEERING. You agree that you will not attempt to reverse compile, modify, translate, or disassemble the SOFTWARE in whole or in part. The algorithms used in the SOFTWARE are copyrighted properties of MOIRAI (patent pending). 5. UNAUTHORIZED USE. You may not use, copy, rent, lease, sell, modify, decompile, disassemble, otherwise reverse engineer, or transfer the SOFTWARE except as provided in this agreement. Any such unauthorized use shall result in immediate and automatic termination of this license. 6. NO OTHER WARRANTIES. MOIRAI DOES NOT WARRANT THAT THE SOFTWARE IS ERROR FREE. MOIRAI DISCLAIMS ALL OTHER WARRANTIES WITH RESPECT TO THE SOFTWARE, EITHER EXPRESS OR IMPLIED, INCLUDING BUT NOT LIMITED TO IMPLIED WARRANTIES OF MERCHANTABILITY, FITNESS FOR A PARTICULAR PURPOSE AND NONINFRINGEMENT OF THIRD PARTY RIGHTS. SOME JURISDICTIONS DO NOT ALLOW THE EXCLUSION OF IMPLIED WARRANTIES OR LIMITATIONS ON HOW LONG AN IMPLIED WARRANTY MAY LAST, OR THE EXCLUSION OR LIMITATION OF INCIDENTAL OR CONSEQUENTIAL DAMAGES, SO THE ABOVE LIMITATIONS OR EXCLUSIONS MAY NOT APPLY TO YOU. THIS WARRANTY GIVES YOU SPECIFIC LEGAL RIGHTS AND YOU MAY ALSO HAVE OTHER RIGHTS WHICH VARY FROM JURISDICTION TO JURISDICTION. 7. LIMITED WARRANTY. THIS SOFTWARE IS PROVIDED ON AN "AS IS" BASIS. MOIRAI DISCLAIMS ALL WARRANTIES RELATING TO THIS SOFTWARE, WHETHER EXPRESSED OR IMPLIED, INCLUDING BUT NOT LIMITED TO ANY IMPLIED WARRANTIES OF MERCHANTABILITY OR FITNESS FOR A PARTICULAR PURPOSE. NEITHER MOIRAI NOR ANYONE ELSE WHO HAS BEEN INVOLVED IN THE CREATION, PRODUCTION, OR DELIVERY OF THIS SOFTWARE SHALL BE LIABLE FOR ANY INDIRECT, CONSEQUENTIAL, OR INCIDENTAL DAMAGES ARISING OUT OF THE USE OR INABILITY TO USE SUCH SOFTWARE, EVEN IF MOIRAI HAS BEEN ADVISED OF THE POSSIBILITY OF SUCH DAMAGES OR CLAIMS. THE PERSON USING THE SOFTWARE BEARS ALL RISK AS TO THE QUALITY AND PERFORMANCE OF THE SOFTWARE. SOME JURISDICTIONS DO NOT ALLOW LIMITATION OR EXCLUSION OF INCIDENTAL OR CONSEQUENTIAL DAMAGES, SO THE ABOVE LIMITATIONS OR EXCLUSION MAY NOT APPLY TO YOU TO THE EXTENT THAT LIABILITY IS BY LAW INCAPABLE OF EXCLUSION OR RESTRICTION. 8. SEVERABILITY. In the event of invalidity of any provision of this license, the parties agree that such invalidity shall not affect the validity of the remaining portions of this license. 9. NO LIABILITY FOR CONSEQUENTIAL DAMAGES. IN NO EVENT SHALL MOIRAI OR ITS SUPPLIERS BE LIABLE TO YOU FOR ANY CONSEQUENTIAL, SPECIAL, INCIDENTAL OR INDIRECT DAMAGES OF ANY KIND ARISING OUT OF THE DELIVERY, PERFORMANCE OR USE OF THE SOFTWARE, EVEN IF MOIRAI HAS BEEN ADVISED OF THE POSSIBILITY OF SUCH DAMAGES. IN NO EVENT WILL MOIRAI\'S LIABILITY FOR ANY CLAIM, WHETHER IN CONTRACT, TORT OR ANY OTHER THEORY OF LIABILITY, EXCEED THE LICENSE FEE PAID BY YOU, IF ANY. 10. ENTIRE AGREEMENT. This is the entire agreement between you and MOIRAI which supersedes any prior agreement or understanding, whether written or oral, relating to the subject matter of this license. 11. RESERVED RIGHTS. All rights not expressly granted here are reserved to MOIRAI. I agree to the license and terms presented above. Login and download information will be delivered via e-mail as soon as the PayPal payment is confirmed. This usually only takes a few minutes, but eCheck payments can take 1-2 days to clear. Due to the nature of this product, refunds cannot be given once the software has been downloaded. 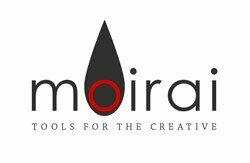 moirai Achieve is a collection of actions for use with Adobe® Photoshop®. This collection includes a comprehensive workflow action set for professionals and beginners alike. These are all the actions used day to day by Heart is Found Photography (among others) to bring vibrant and cutting edge images to their clients. Requires Adobe® Photoshop® 7.0 or higher. Here’s a demonstration of moirai Achieve in action, as we use the actions to proof a photograph. Copyright © 2019 Heart is Found, Inc.